Unfortunately, a lot of homeowners disregard windows leaking during heavy rain. They quickly assume that it’s nothing to worry about. It’s just the rain being too strong and things will return to normal once it passes. Yes, it will seem that way. The leaking will stop once the rain stops. But will the problem go away? The better question is – is there a problem in the first place? Fortunately, you’re not like these homeowners. You know that there’s a problem. You know that it’s concerning. You know that something has to be done. This is why you’re looking for information that can help you. This is why we’re recommending that you read this article from top to bottom. It will provide you with everything that you need to know for you to understand if you’re dealing with a big problem. SPOILER: Yes, you are. It’s a good idea to know what causes this issue. This way, you can get to the root cause and solve the problem at the root and avoid a repeat in the future. You’ll know the dangers of a leak. Knowing these dangers will make you understand the gravity of the situation so you’ll do something about it. We’ll tell you where the leaking usually happens. We’ll also teach you how to spot window leaks. This is very important so you’ll know if there is indeed leaking and where it’s coming from. 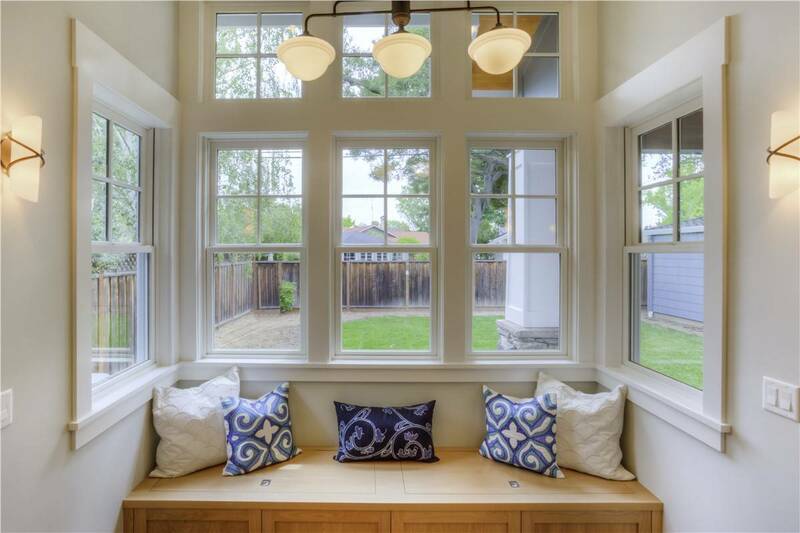 We’ll also teach you how to fix and seal a leaky window frame, although it’s recommended that you hire a contractor to take care of the problem. We’ll also tell you why. We know why a lot of homeowners don’t want to hire a contractor. It’s because they don’t want to spend a lot of money. We understand this and this is why we’ve put together a service that allows you to find professionals that can offer you great deals to solve this problem for you. This is a free service because we want you to save money on hiring a professional because we understand the importance of you doing so. So you hired a cheap handyman to install the windows in an effort to save money. Since he’s not an expert on the trade, he ends up committing a lot of mistakes. Usually, mistakes are committed due to wrong use or improper installation of the flashing. This allows the water to seep in. Another mistake is when they didn’t seal the windows properly. Since they’re basically wall penetrations, there’s always going to be a gap around them. These gaps need to be sealed. Industry standard is to use expanding foam. Sometimes, the installer doesn’t use enough. This leads to the gaps. Of course, it all starts with proper measurements. The gap shouldn’t be too big so that it’s sealed easily. Another thing to seal is the glass itself. You shouldn’t see water leaking in between the panes. An experienced installer will also do a paint seal. This is when he ever so slightly overlaps the paint over to the glass. Caulking is another important part of the installation. Caulking is there as a first line of defense so if it’s not secure, it’s going to cause an issue. This is often an overlooked cause. The overhang is not just for aesthetics purposes. It can also help drive water away. Speaking of driving water away, another possible cause is that the fascia boards are not angled in such a way that they drive water away. Instead, they direct water in. In a lot of cases, it’s simply condensation. This is usually the case if it also leaks even if it’s not raining. This is something worth checking so you don’t waste time and money trying to solve another problem when it’s a simple condensation issue. In most cases, you can check and see for yourself what the possible cause is. If you’re having problems or you can’t access the windows safely, it’s best to hire a professional. It will lead to water damage. Water can be very damaging to a home. It will lead to ugly stains, for starters. Soon, it will lead to rotting. Stains and rot are ugly to look at. Do you really want to see your home, which is a very big investment, looking ugly with all those stains and rotting? Well, other people don’t want to see them as well. This means that your home’s appeal will take a hit. This is very important if you plan on selling your home in the future. Potential home buyers will get turned off when they see water damage. In addition to being ugly to look at, they will rightfully assume that there’s something wrong. It’s either they’d ask you to lower the price drastically or just simply walk away. Mold and mildew will grow. Your health will also be affected because of the growth of mold and mildew. They need one important ingredient to grow – moisture. This is why if you don’t take care of the problem, the water damage will lead to mold and mildew. Why is this concerning? It’s because they can lead to several respiratory issues. It’s especially concerning if you have kids and elderly at home especially if they’re already dealing with a respiratory issue. Your family will have regular bouts of coughing, sneezing, wheezing, congestion, breathing difficulty, among others. The effects can range from annoying to even death. The structure of your home will be compromised. You may not know this yet, but there’s a chance that your home’s structure is already compromised. This is if you’ve been neglecting the water damage. You have to note that your home’s framing is already affected as soon as there’s water damage. It will just get worse. You have to know that window leaks will find their way around your home. Your drywall will absorb the water and it will get weakened. The same thing goes for your flooring structure. If you don’t fix the issue because you’re trying to save money, you’ll just spend more money later on. These structural damages will be more expensive to fix. These are just some of the dangers of a leak but they should be enough to get you off your feet so you can contact a professional. Use your sense of smell. For a lot of homeowners, they will smell the water damage first before they see it. This is because it has this distinct musty and earthy smell. The smell will stand out especially if you’ve made it a point to have a nice-smelling home. You can actually follow the smell if you have a strong sense of smell. Check the bottom and top area of the windows and the walls around them. Check the wall around the windows. If you see discoloration, then there’s a very good chance that water has been leaking and damage has been done already. This is very typical of the issue of window leaking during heavy rain. Since the leaking happens at a concentrated area, the water will pool at specific parts of the walls, leading them to sag. This is especially true if the leaking happens at the bottom part of the windows. Floor sagging is another problem you need to take seriously. Where do the Leaks Happen? 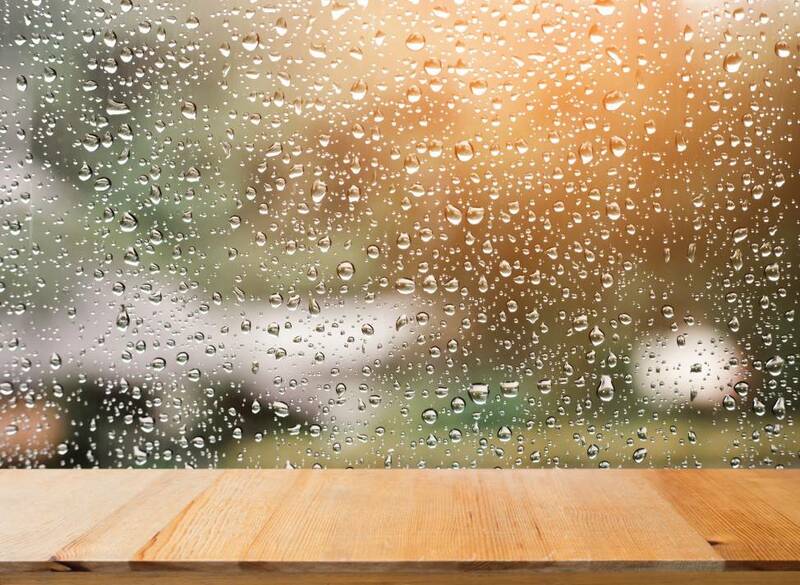 If the issue is window leaking during heavy rain, the leaks usually happen at the top or bottom part of the window. In this case, it means that the water is entering your home through an opening in the wall. The water will leak along the window and will pool either at the bottom or top part. The leak can also happen at the frame of the window itself. In this case, you have a problematic window. This is usually the case if you have an older window that you haven’t really maintained in a long time. You can actually do the inspection on your own provided that you have easy and safe access to the inside and outside of the windows. The best time to do an inspection is during the morning when the sun’s out. Pull back the blinds or the curtains and check the bottom, top and around the frame. Take a look around for any gap. You can also check if there’s sunlight coming in through gaps that shouldn’t be there. It’s also a must that you check the exterior. Check around the frame. Do you see any gaps? Check the caulking. Do you see cracks? Make sure to check the top and bottom parts. Yes, make sure that all windows are closed before you get started checking every room. Make sure that they’re fully-closed which means that you need to lock them as well. The idea is to seal them to prevent air from coming in. Turn off all sources of air. These include the HVAC system and electric fans. Wait for about 5 minutes after turning them off to make sure that they’ve cycled down fully. The thin variety works best. Move the candle around the window. Make sure to cover every inch. The idea here is to see if the flame will be blown. If it does, then it means that air is passing through. This means that there’s a gap or crack. This is where water can leak. Again, only do the inspection if you can do it safely. If you’re not comfortable going up a ladder just to check the windows’ exterior, it’s best to contact a professional. Actually, there’s one proven way if you want to know how to fix and seal a leaky window frame – call a professional. This is especially true if there’s massive water damage already which needs to be taken care of first before even thinking about replacing the window. This is when you see cracks across the caulking. You need to remove the damaged caulking and reapply new caulking. Make sure that you clean the frame of the window before reapplying for best results. There should be a gasket sealing the gap in between the glass and the frame of the window. This can get damaged so you have to reseal it using caulking. The clear silicone works best for aesthetic purposes. Check the window sill at the bottom part. It should be tilted downwards. This is to make sure that water is drained away. If it’s tilted upwards, the water will pool and may eventually find its way inside your house. If these fixes can’t solve the problem, it’s a sign that you need to contact a professional. It’s there to ensure proper seal. This is especially true outside the window. This is why you should have it checked regularly to ensure that it’s not broken or damaged in any way. If you see cracks or damages, reapply caulking immediately. Don’t wait for heavy rain to expose the issue. Debris can prove to be problematic especially if you have hung or sliding windows. They have channels that serve as pathways for the water to flow and drain freely. These channels can get clogged with dust and debris. This will slow down or even stop the flow of water. This will lead to pooling which will eventually lead to leaking. Sure, roof damage is a different issue altogether. However, leaks from the roofing will travel along the walls and will find an exit point where they can leak into your home. One of the easiest exit points for them is a window. These are good preventive maintenance tips. Add in a regular maintenance checkup by professional window contractors and you should be good to go. This is the question on a lot of people’s mind and probably on yours too. Sure, some of the steps and tips above can be done by any homeowner. But still, there’s the question of safety especially when dealing with windows located high above your home. Instead of going up a ladder and exposing yourself to a potential accident, why not just let the professionals do it for you? In addition, it’s almost a sure thing that they’ll do a better job than you and why shouldn’t they? They do this professionally and they do this for a living. Choose a good contractor and you’re hiring someone with years of experience doing exactly what needs to be done. They have the skills, expertise and experience needed to do a good job. We’ve already talked about the dangers of a leak. This means that you should make sure that you solve the issue once and for all. You can’t risk doing a bad job and not solving the issue because that will mean you and your family going through all these dangers again the next time there’s a heavy rain. Simply put, you hire a contractor for your peace of mind. If you’re concerned about the high prices that some contractors are charging, there’s actually a secret that can help you find an amazing deal. Basically, you have these contractors compete with one another. You let them know that you’re shopping around for the best deal. This way, you’re basically telling them that they should quote you their best deal for them to be considered. The old way of doing this is by calling contractors one by one and requesting them to send you their best quote as you’re shopping around. That requires a lot of time and effort which sorts of defeat the purpose. This is why we’ve developed something to make the process easier. You see a form on this site. It may seem like a basic form but it’s a very powerful one because it gives you access to our database of the best licensed contractors in the country. By entering your complete and accurate details, the best contractors nearest you will receive your request for quotes. 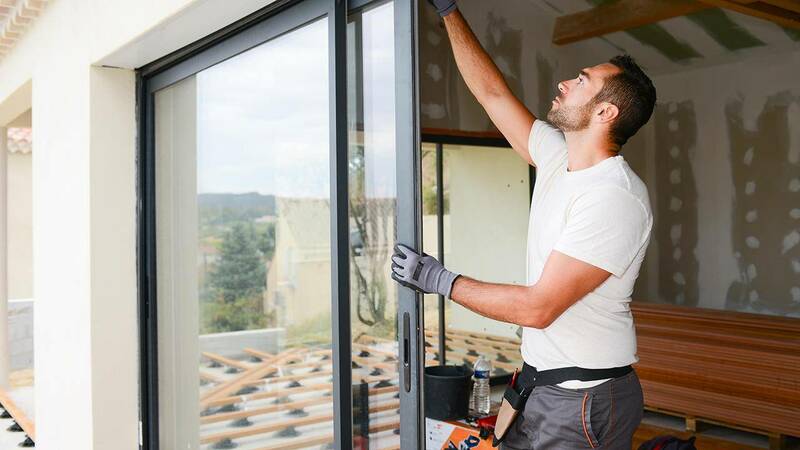 In this case, the best contractors that specialize in leaking windows will receive your details. They know that their competitors will also receive your request so they’ll be of the understanding that they need to send their best quote. This means that you’ll be receiving the best available quotes. All you need to do is to compare them which should be very easy since you’ll be receiving itemized quotes. Best of all, this service is for free. There’s also no risk involved since you don’t have to hire anyone if you don’t receive a quote that makes sense. Try it today!